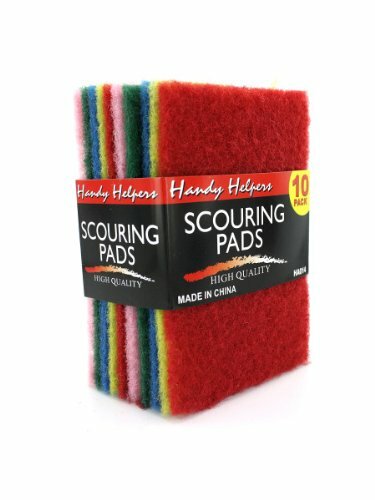 Scouring pads cut through tough messes in kitchens, bathrooms, automobiles, tools, walls and more! This 10-pack is a kitchen must-have. Comes with two of the following colors: blue, green, pink, red and yellow. Set is packaged in a sleeve card. Pads measure approximately 3 3/4" x 5 3/4".